Warning: Just One Tub Of These 8 Salted Egg Yolk Chips Is Never Enough ? No one really knows when the salted egg craze came alive, but to this day, it has yet to die out. Whenever it is announced that there is some kind salted egg treat sold somewhere – salted egg fish and chips, salted egg croissants, salted-egg-whatever-it-is – you can bet that people will start queuing up just for that bite of salty goodness. 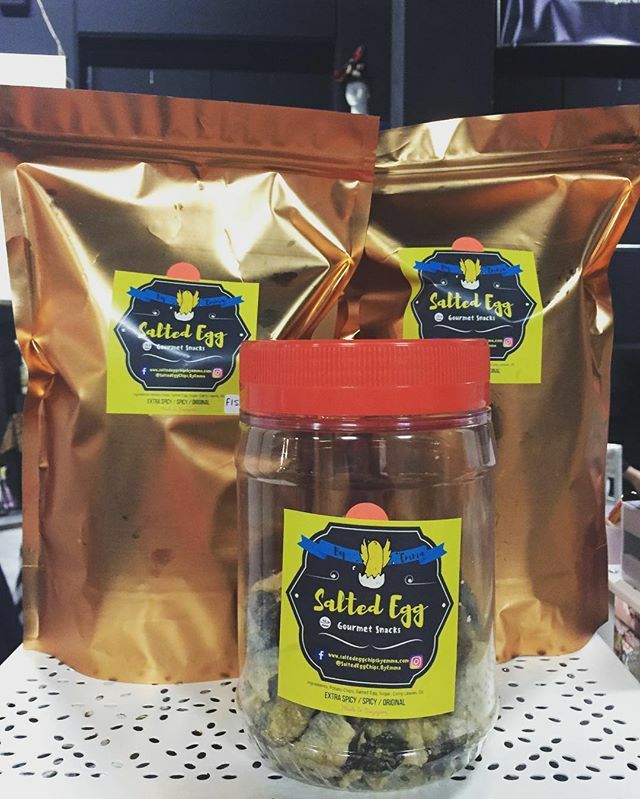 Well, if you are craving something that is salted egg and yet you are too lazy to go out, here are a list of salted egg chips vendors that you can buy salted egg chips from. This way, you can sit at home, watch the latest episode of Game of Thrones, and satiate your salted egg craving with a tub of salted egg chips. 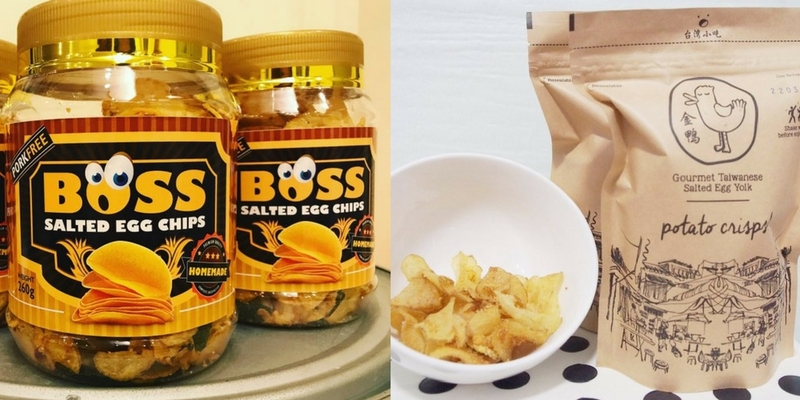 Bosschips happens to be the most popular salted egg chips brand in the country so far, as it is the only one that allows customers to make purchase with retail partners, such as Zang Toi Cafe, Madame Waffle, The Ploy, and The Grove etc. 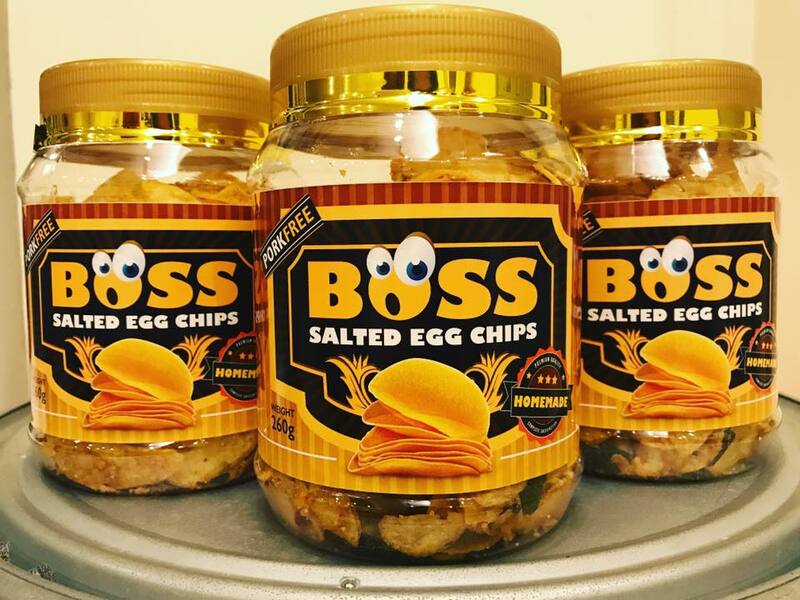 You can also buy these chips online at the Bosschips Facebook page, or calling this number: +60132177889. Plus, if you live in Klang Valley, you are in luck, because Bosschips is offering free delivery for orders of ten tubs or above in the area! 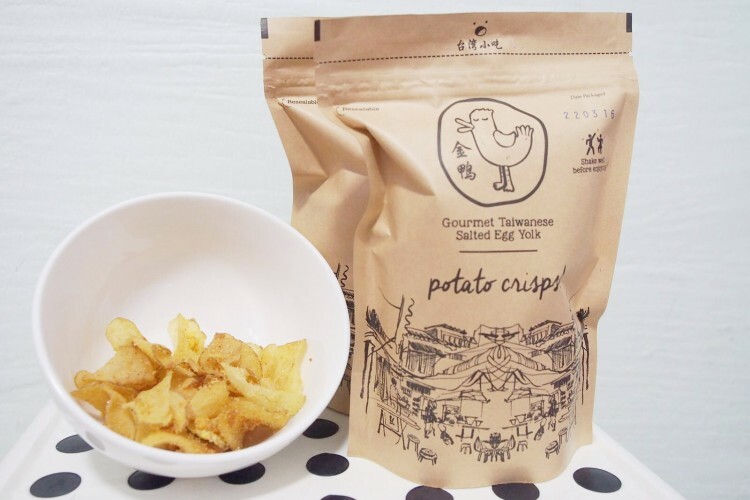 Naiise is the online retailer to go to for the most unique of products, one of them being its Salted Egg Yolk Chips. 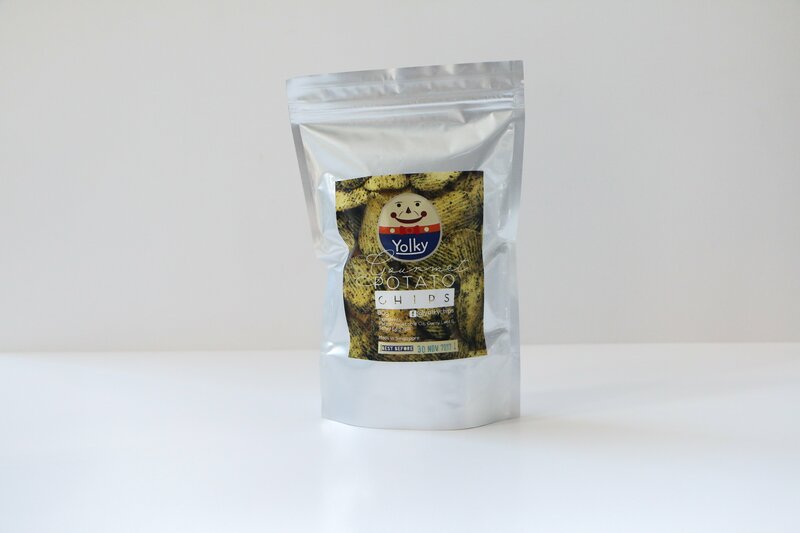 Made with potato, vegetable oil, curry leaf, and salty egg yolk, this product is available in two sizes: 80g and 160g. Looking for a spicy version? Worry not, Naiise has it! You only need to order it at their online website. Salted egg chips cannot get any more localised than Lol. Entirely halal and made with local products, this brand of salted egg chips even comes with a cheesy flavour, making it all the more distinctive from other salted egg chips. It can be guaranteed that you will laugh out loud in joy once you’ve had a taste. 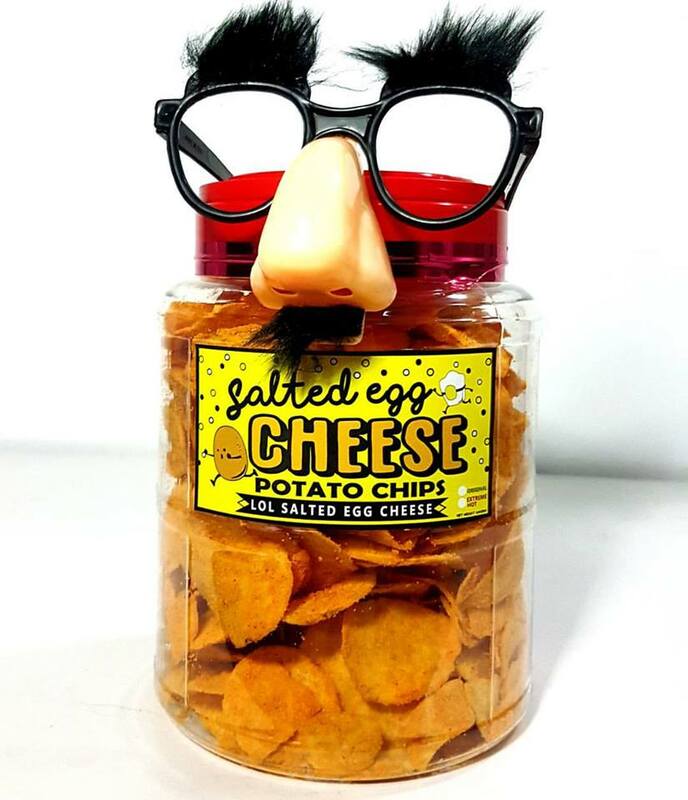 You can order a tub to try by reaching out to them on the Lol Salted Egg Cheese Potato Chips Facebook page or sending them a WhatsApp message at +601133332636. This may be cheating a little, because The Golden Duck is actually a Singaporean brand. However, it has established a number of online stores across the world, including Malaysia, so you can easily order one online. Plus, if you are tired of eating salted egg potato chips, you can always try The Golden Duck’s salted egg yolk fish skin. Be careful though, it can be a little spicy, but anything to spice up your life, right? Now, if you are looking for salted egg chips that can actually light a fire on your tongue, Kintry’s salted egg yolk potato crisps may be the one for you! Blended with curry leaves and chili padi, it may be so addictive that you can’t stop from reaching out for more. 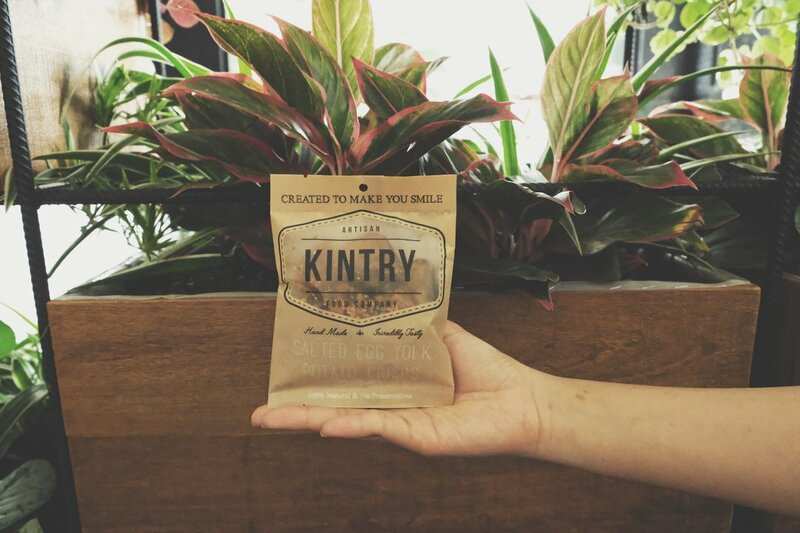 Do not hesitate to place an order for either a ‘snack’ or ‘regular’ size on the Kintry Food Co.’s website! If you place an order for RM150 or more, you can even get free express shipping across Malaysia! Completely homemade, and, according to their Instagram account, really addicting. 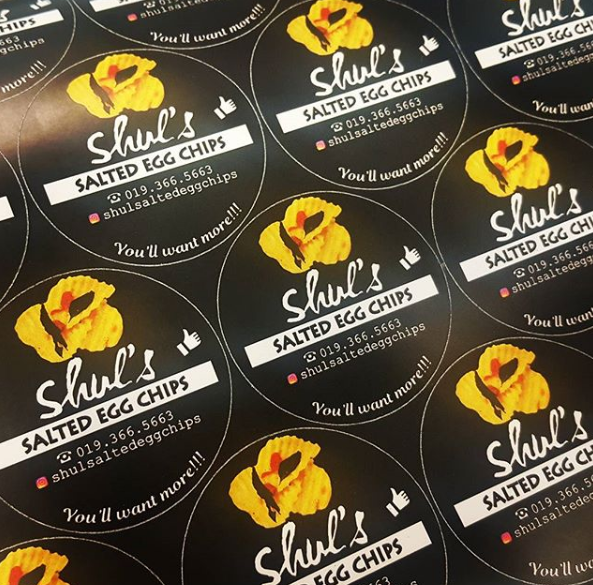 This brand of salted egg chips is not entirely on track yet, but they are on their way, given that the number of orders they have received has exponentially increased since their launch in April this year! They offer two types of salted egg chips for their clients: original and spicy. To place your order, you only need to Whatsapp or call them on 019 366 5663. 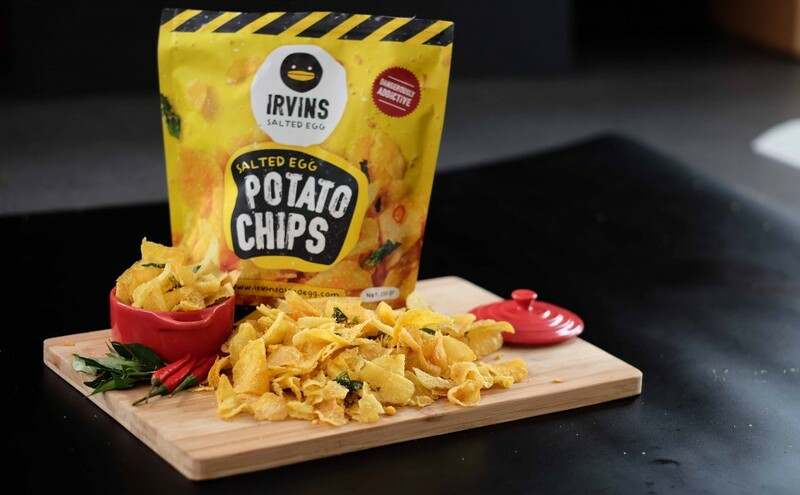 Irvin’s is, by far, the most popular salted egg chips brand across Southeast Asia. They have been featured in publications like TimeOut, Naiise, 8Days Magazine, and Simply Her Magazine etc. While they are ultimately a Singaporean brand, they make deliveries to Malaysia too! If you’re tired of salted egg potato chips, you can get salted egg fish skin from Irvin’s as well. If it’s still not savoury enough for you, they even sell additional salted egg sauce! So don’t wait any longer and get on with ordering your preferred salted egg snack – email them at [email protected], or reach out to them via Facebook message. Because some may worry about the halal-ness of salted egg chips, Salted Egg Chips By Emma decided that enough is enough, took things into their own hands, and voila! Here they are! While it is a Singaporean brand, Malaysians can order it as well. Plus, this is probably the one and only cili padi salted egg chips out there in the market, giving an extra kick to the flavour and pleasing all spicy lovers out there. Interested? Just place an order on the Salted Egg Chips by Emma website.